Radeon RX 580 is the top of the line graphics card in the latest Radeon RX 500 graphics card series lineup while GeForce GTX 1060 is a higher mid-range graphics card in the GeForce 10 graphics card series from Nvidia. Both these graphics cards are in the same price range and have almost comparable performance. 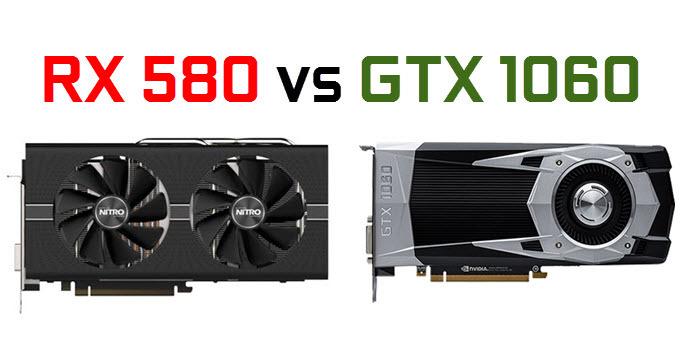 If you are confused about which graphics card to get from these then here I am going to compare both these graphics cards and also tell you that which one is more beneficial to buy for your gaming and other graphics needs. Here is comparison of Radeon RX 580 and GeForce GTX 1060 graphics cards based on their specifications and gaming performance. Radeon RX 580 is built on the Polaris GPU architecture and comes with 2304 Stream Processors which is same as in the older Radeon RX 480, but Radeon RX 580 comes with higher GPU frequencies and has got some extra features. On the other hand, GeForce GTX 1060 comes with 1280 CUDA Cores (6GB variant) and is built on the Pascal GPU architecture. However we cannot equate Stream Processors to CUDA Cores because both of them are on different platform and have completely different GPU architecture. You can read more about Stream Processors and CUDA Cores from the link given below. Radeon RX 580 comes with 8GB GDDR5 memory having 256-bit interface while GeForce GTX 1060 comes with 3GB / 6GB GDDR5 memory having 192-bit interface. Radeon RX 580 has much higher memory bandwidth of 256 GB/s compared to 192 GB/s of GeForce GTX 1060. This can make some performance difference in games that requires higher amount of memory or when you want to run latest AAA games on higher resolutions. Both Radeon RX 580 and GeForce GTX 1060 support all the latest graphics APIs that includes DirectX 12, OpenGL 4.5 and Vulkan API. Radeon RX 580 is a relatively newer card and its major features include AMD Eyefinity Technology, AMD Enduro Technology, AMD LiquidVR Technology, OpenCL 2.0, Unified Video Decoder (UVD), Video Code Engine (VCE) and more. Radeon RX 580 supports multi-GPU setup (CrossFire) but you cannot use GeForce GTX 1060 in multi-GPU setup or run two GTX 1060 graphics cards in SLI mode. Both graphics cards supports variable refresh rate technologies to reduce screen tearing or stuttering in games. Radeon RX 580 calls it FreeSync and Nvidia has G-Sync. Both these variable refresh rate technologies are different in working and also require compatible monitors to work with. Radeon RX 580 and GTX 1060 are VR Ready graphics cards and they deliver great virtual reality performance at an affordable price. Both Radeon RX 580 and GeForce GTX 1060 can run latest AAA games on high graphics at 1080p and 1440p resolutions. For 1440p gaming you might have to toned down or turn off some of the in-game graphics settings depending on the game. 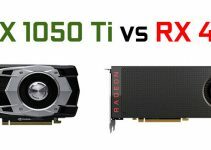 It is also very interesting to note that both these cards have almost similar kind of performance in most of the latest games. Radeon RX 580 does perform better in DirectX 12 enabled games and Vulkan Games like Doom 2016. 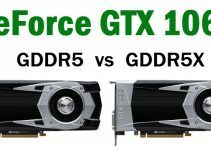 On the other GeForce GTX 1060 has some lead in DirectX 11 games. So if we compare overall, then Radeon RX 580 does perform a bit better than GeForce GTX 1060 in gaming performance. Also Radeon RX 580 is a better graphics card for cryptocurrency mining due to its GPU architecture. GeForce GTX 1060 has lower power consumption compared to Radeon RX 580. 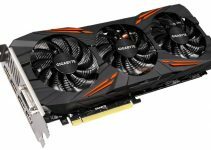 GeForce GTX 1060 consumes at around 120W (max.) of power and requires only a good 400W – 450W of power supply for its working. On the other hand, Radeon RX 580 consumes at around 185W (max.) power and requires a 500W for its working. So in power consumption department, GeForce GTX 1060 does lead over Radeon RX 580. Both these graphics cards are similarly priced but Radeon RX 580 is a bit costlier than the regular variant of GeForce GTX 1060. You can check their latest prices from the links given below. At the end I would like to say that it is very difficult to pick the best card between these two. Radeon RX 580 is a newer card and offers better performance in latest games especially in DX12 and Vulkan titles but on the other hand GeForce GTX 1060 is a bit cheaper, has lower power consumption and offers nearly same performance in latest games. But if I have to pick then I would certainly go for the Radeon RX 580 for my gaming PC. Please which is more likely better for Rendering and Animation. I would have to say Radeon RX 580 may have a edge.